With the arrival of Ramadan, the most densely populated area on the planet – the Gaza Strip – is now facing the added pressure of increasing power cuts amid the hot summer weather. The cuts have affected the live of Gazans at all levels, with resulting damages to electrical devices adding further dismay to the plight of the besieged coastal dwellers. During the holy month, Gaza’s electric plant set a new distribution schedule which differs from one area to the next, and would begin as early as seven o’clock in the morning, according to Al Ray Palestinian Media Agency. Gaza’s sole power plant has not run at full capacity for 10 years in the running, as there are no sufficient fuel supplies to feed its generators, which has considerably decreased the quality of life for the entire population. “The month of Ramadan comes every [year], bringing a lot of surprises. Most Gazans are unemployed and living [under] miserable conditions with the ongoing siege. 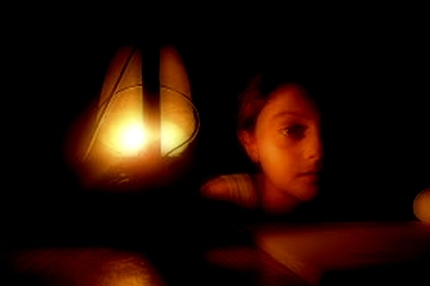 The continued power cut for long hours worsens the situation”, Rami Mohsen, a citizen from Gaza said. Mohsen did not hide his fear of the Ramadan power outages, which may have a significant impact on food preservation devices, not to mention the fatigue experienced during fasting, and in the face of extreme heat. The Gaza Strip, home to 1.8 million people, has been experiencing up to 18 hours of power cuts a day. The coastal enclave’s only power plant halted production over a dispute between Gaza’s government (Hamas) and the Palestinian Authority (PA) over fuel tax. Hamas has been paying the PA for imported fuel but was unable to afford the tax bill. Even when the power plant works, it is only running at about 50% capacity, so the Gaza Strip experiences an average of 12 hours per day without power. In addition to the power station, Gaza receives power from Egypt and Israel, but these three sources together only amount to about about 230MW, which the UN estimates meets only half of Gaza’s needs.